This is my third plugin for the WordPress and I hope you will like IImage Panorama as much as IImage Browser and IImage Gallery which are used by thousands and thousands of WordPress fans. In the age of digital cameras is very easy to create 360° panoramas in your computer. You can use software that you have got with your camera or Photoshop or AutoStitch (recommended) – but the question is: How to present these images on the web? Click on the image and move the mouse. Only this example is "alive" others are just pictures. Default values are specified in iimage-panorama.php. The IImage Panorama uses free Java applet (PTViewer3.1.2) by Helmut Dersch so if you want to see anything you have to have Java enabled in your browser and you should tell this to your visitors too. Don't forget to try IImage Browser and IImage Gallery! If you want to have multilingual blog then try Polyglot. Activate it and use it! Your plugin works fine and I hope to use it often, it adds the settings and what not for the panoramic image except that it won’t add the actual image file. Oops, here is the code bit. >John Sorry for my late reply but I was moving to Sweden. Well, actually I don’t understand what is the problem. Check if you are using right syntax in the first example. It takes the “file” parameter from src attribute of image. Hmm, John is correct. The script is not picking out the file name, so it leaves it empty. So I added the “file” parameter with the full URL of my image, it still did not work (i.e. image not appearing). I checked the generated source code on my page, and it adds an empty file parameter straight after my specified file parameter. How I found out was saving my page’s source code locally and removed the empty file parameter after my specified file parameter, and loaded the page, and it worked. Also, I noticed that while I was running the plugin, the CPU of the pc was running above 90%! I will leave the trial entry up for a week or two. Cheers, I hope the kinks are worked out, it’s a really nifty tool. >John&whykay I’m pretty sure this must be problem of incorrect syntax – you must use quotes not apostrophes and no spaces where they are not necessary. I have just uploaded new version of IIP which is not so sensitive to spaces at wrong positions. First: Thanks for making a plugin for wordpress for Dersch`s java aplett. It really makes it easier to post panoramas at blogs. Second: I`m using a nightly build ( 1.3) and nothing happens at all when I install it. Is it compatible with 1.3/1.5 versions of wordpress ? 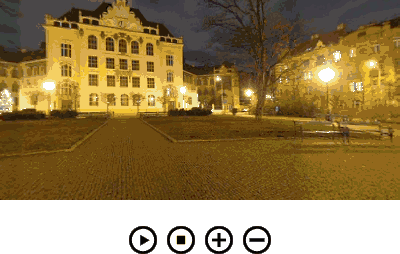 Thanks again for another fine contribution to the toolpack for Dersch panorama plugin. Hmmm…I`m getting the same problem as the other John. It would be very nice if you could make some documentation on how its supposed to work. Maybe some screenshots and a small text ? >John#9 It works as you see on this page – you can look into the source code for more details. I have to repeat my suggestions: check the syntax of your code twice! Because empty file attribute means that plugin were not able to find value of src in the img tag. You can also try to separate <panorama> and image with empty line. This is the last line of iimage-panorama.php. You can also try to set lower priority – just use some higher number than 10 instead of 4.
having problems to get it to work. I added an image.jpg file (vertical is the lenght of image, not sure if the applet wants it like that or horizontal aligned). Put that into wp/images/ directory. put plugin into plugin folder and activated it and the iimage_panorama folder I put into the wp-content folder. my site is setup as mydomain/wordpress. I guess the question is what is returned as ‘siteurl’ is it http://www.mydomain or http://www.mydomain/wordpress ? tried it also w/o the wordpress (my index file is in mydomain directory). no error, just nothing shows. java is enabled. tried in omniweb and safari. >marlyse Look into the source code of the page and then you will see what’s wrong. There should be specified the proper path to the .jar file. If not – just change $ip_path_to_viewer as needed. For a quick, simple and painless way to convert all those images into a single panorama try out autostitch. It creates the panorama image without any user input! Some ideas for your (excellent) plugin. Rather than having to set values for inside and outside (having both on would be a bit silly) it may be possible to one option to choose how to display the image e.g. The skin option would be a fixed size applet with the parameters preset in your plugin or inserted from a text file(s). A single text file if you can replace the file parameter after inserting it or a combination of header/footer text files either side of the php code for the file parameter. I’d be happy to supply sample files if you want to try this. but i have this error! miro> Don’t you have some spaces or new lines before <?php or after ?> in the iimage-panorama.php? This warning means that there is some output from this file but there should not be any. This usualy happens after you edit that file. I set it up and it worked fine. I was using FireFox. Then someone else viewed it in FireFox on thier machine and said that the box was all red. I went and checked it in IE on my machine and it was red there too. Any ideas? Mike> Check this page in IE and let me know if it works. This site works fine in IE on my machine. Soory about the double post, but i just tried it again and things just got stranger. The first time i tried it, i used the code from the “full example”. The result of course was it worked on firefox on my machine but not in firefox on another persons machine, or IE on my machine. This time i used the code from the first example.Now it is just a red box in all of my browsers. I switched back to the ‘full example’, but now it seems everything sees it as a red box no matter what i do. Mike> I’m quite sure that it’s just some typo… If you could provide me a link to that not working page I’d tell you what’s wrong. I am trying to put a java applet in my website, but I could not get it display in the side bar of the wordpress. I am wondering if you could point a direction for me get it going. Sorry bout the delayed response. You were right, it was just a type-o. Unfortunatley i dont know what i changed specificly, only that i did clean up the script and it works fine everywhere. Thanks for the help. This thing rocks btw. sleeplessboy> Read the original PTViewer documentation then you will know how to add the applet to your sidebar properly. You don’t need this plugin to do that. Great application. Just one question. Can this be used without WordPress? Can I embed this IImage Panorama on say http://www.somesite.com? phil> PTViewer can work everywhere. Read Helmut Dersch’s page for more information. Very nice and easy to use. I haven’t done any panoramas yet, but I’ve been making a list of places to try this with now that I got a better camera. I had some problems at first, but I viewed the page source and found out I had copied individual files, not the whole directory, to my site root. omlouvam se , nejak mi to nedoslo . Porad se mi objevovala hlaska (aplet=….atd) misto panoramatu . Tak jsem to skusil rovnou na PC to jsem rozbehl , pak jsem patral dal a po vypnuti pluginu Texy to jde . Tak ze nyni OK.
Hi, first let me say very nice work on a great plug in. Is the plug in supposed to max out my cpu when playing? Or am I doing something wrong. OK I realized check the cpu usage on this site when I play your example so I realized that is does cap out the CPU. Kind of a downer but not a real bug deal. I would really like to find a way to be able to use the tinymce editor and your plug in a the same time. If anyonw knows a solution let me know. Hello, I got problem with you problem, iimage_panorama simply doesn’t work. I try many things, such as change the php file with the complete URL to the Pt_viewer.jar, such as add empty line to the code, still doesnt ‘work. Any help appreciated. Thanks ! Does this plugin work for panoramic view smaller than 360 degrees? For example, 180-degree panorama. Very intersting and would like to have it on my site I tried it, it does not work. It just places the image in the posting. By the way I have tried various gallery Plug-ins but most of them do not work. Just wanted to give you a shout out…you are friggin’ amazing! Thank you for sharing and I can’t believe you don’t have a paypal donation button. I have 2.1 and it works great. BUT I would like it to be my header image. But can’t seem to figure out why the java script will run in the body of the image, but not the header.php? Any suggestions? The closest I have gotten, says Error in function on iimage-panorama.php line 38 or somehting. For some reason, it’s making all the hovering “blink”. Any ideas why? Nice plugin, though it’s only simple cylindrical panorama. Could you make something like on 3Dtour – panoramic virtual tours? its a nice plugin, and its working well. but list in my wordpress plugin page become a mess on the row of iimage panorama. anyone experience the same with here? well this is an interesting plugin, hope i will use it on my blog. Very nice and usefull plugin!! Thanks very much!! Excellent plugin. I’m just gettingmy blog together and this was something I really needed in my development. I try this plugin….but dont work…why? can you write a explication step by step how install plugin and how insert code to show panorama..
thank you for making this available for free, skriker. it was definitely what i needed to put on my blog and also what i needed as a beginner to learn to start getting my hands dirty. can i set a write protection for certain wp sites? and is it possible to center the panorama picture with html tags? Спасибо ! Может быть даже пригодится. I cannot get the plugin to show up in the quicktags. My url is setup as http://mottweilerstudio.com/wordpress/wp-content/plugins and the plugin folder and php are there.